Volvo’s XC90 is an excellent vehicle, the company has managed to create an awesome 4X4 the first time out. The XC90 is quite capable of competing with established players such as BMW and Mercedes-Benz. 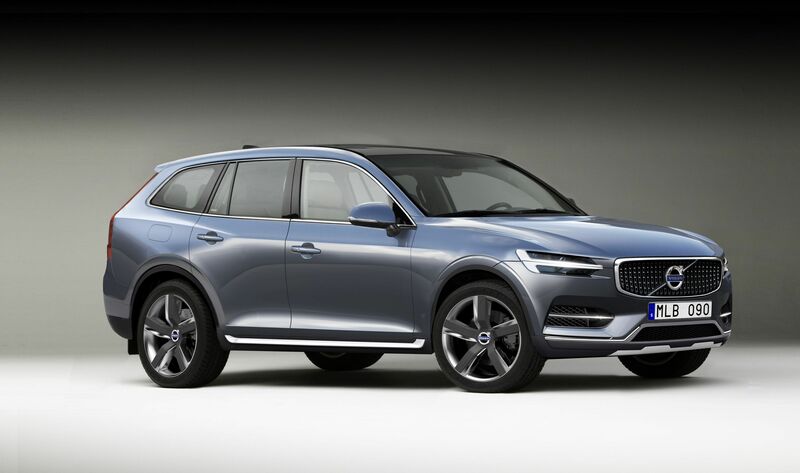 Volvo’s estate cars have always been known for their solidity, safety and dependability, and the company has successfully transferred these qualities thw the XC90 Sports Utility Vehicle (SUV). The XC90 provides a great deal of desirability, and buyers are willing to be added to the waiting list for the privilege of owning one. The XC90 is a superb vehicle. The car’s exterior design is very attractive without trying to seem too tough or rugged, and the car boasts a very spacious interior design. The interior provides an excellent combination of style and function. The car also provides loads of practicality, making it an exceptional choice as a family vehicle. The XC90 is very appealing, but is not suitable for everyone. The car’s off-road abilities are modest and the XC90 is too heavy to provide much driver involvement. The car does provide a lofty driving position, and will be a very safe family car, a small trade-off for fast acceleration. The car should be an overall reliable vehicle to own, and enjoys high resale values. Buyers shouldn’t be too easily disappointed in the XC90. The XC90 is an expensive car to purchase. The car does provide a high standard of quality and reflects the price well. The Volvo badge is being perceived more and more as a premium manufacturer. Fuel and insurance costs will be high as well, and the car should enjoy high resale values too. The car is a spacious seven seater that offers loads of practicality. The rearmost seats fold flat to create more cargo space. The cabin’s storage spaces are functional and plentiful. Cabin space is good and passengers should have plenty of room. The car’s controls and dials are pretty basic. They are clear and simple without being too flashy or complicated. The quality of materials used is high and although the contrlos and displays are basic, they give the cabin a quality look and feel. The steeringwheel and gear knob are leather trimmed for an additional touch of class. The car’s cabin is extremely comfortable with seats that provide the maximum level of comfort. The front seat passengers are well catered for, and the driver’s seat provides electronic seat adjustment. The controls are more than just common sense and practical, they are logically and comfortably located. Engine and road noise are well suppressed. The XC90 is a tall vehicle and requires a step up in order to access the car’s cabin. This may pose a problem for some passengers. Access to the car’s two rear rows of seats will be easier for smaller passengers, but the seats accommodate most passengers comfortably. Despite the car’s large size, it is not too difficult to park. Thanks to the car’s raised seating position visibility is good, and the car provides good weighted steering as well. Rear parking sensors are available as standard fit and make things a lot easier. The car’s raised height and the weight of the car impairs its ability to be nimble but not as much as one might expect. The car manages to control lean and roll well. Volvo drivers are known for their sensibility when selecting cars and this is a sensible and practical car. Of course as a spacious seven seater this is an excellent family vehicle. The car’s cabin is very spacious providing more than enough room for a family and all their gear. The trunk is spacious and the car is well-built and durable. Throw in Volvo’s excellent reputation for safety and the centre seat in the second row that slides forward and you have a perfect family vehicle. This like most SUVs is not a good first car. It’s too expensive and too large. Fuel and insurance costs will be high and novice drivers may find it difficult to navigate through crowded streets. The XC70 will do much to help Volvo in reaching its goal in becoming a more premium manufacturer. The car’s excellent build quality and cabin quality will make it very competitive with the more premium badges. This will be an important factor in order to tempt badge conscious buyers. The car comes equipped standard with an alarm, an engine immobiliser, movement sensors, deadlocks and a load area cover. This high level of security is necessary due to the vehicles high level of desirability. The car’s standard safety features include numerous airbags, special electronic systems are charged with countering SUVs’ natural inclination to roll and ABS with EBD. The XC90 is designed with a frontal structure support that has been designed to minimise impact damage in regular cars, not just other 4x4s or SUVs. The car’s standard audio system includes a single slot CD radio with eight speakers for S models, SE models gain a six-disc CD system and Executive models gain the Premium Audio System complete with digital surround sound, upgraded amplifier and 12 speakers. All of the systems are very impressive and produce an excellent sound quality. Lighter coloured leather and fabrics are more flattering in the car’s cabin. Only executive models come with metallic paint as standard. There are many optional extras available. The Volvo XC90 is undoubtedly one of the best vehicles in its class. It has done much to propel Volvo to a premium status alongside other premium badges.